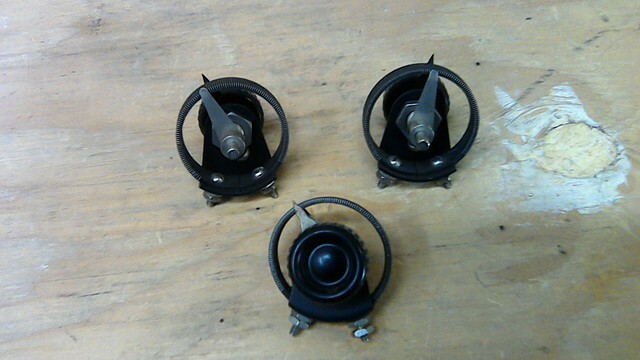 Lot 2: Three rheostats. Unique design. All measure around 32 Ohms. $15 plus shipping. I would like cash, check or MO. No Paypal, please. Shipping shouldn't be too much, probably about $4 CONUS. Have small boxes. Last edited by LBF ARSR on Nov Fri 09, 2018 2:49 am, edited 1 time in total. 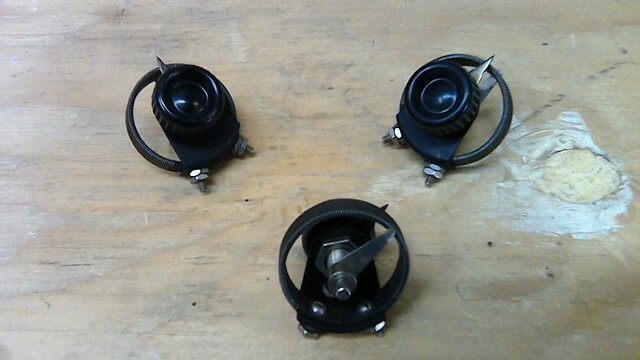 Lot 1: Three UV 199 sockets. Great shape, a little wear by the mounting screw holes, but all look good and are solid. All of the thumbscrews are there. $15 plus shipping.